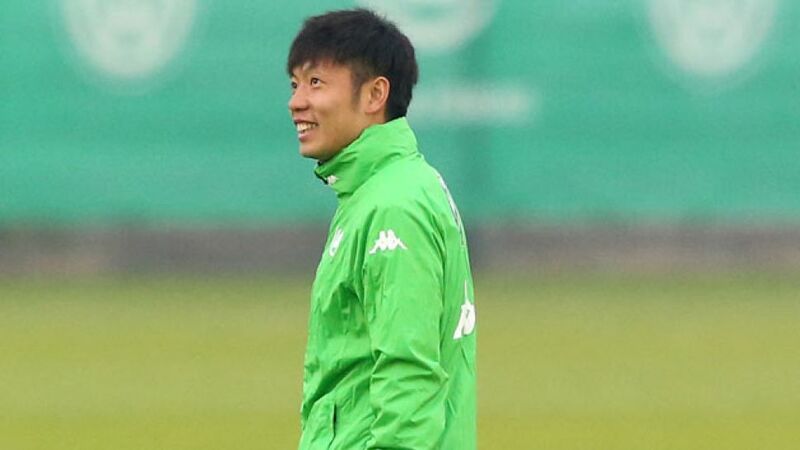 Wolfsburg - A little over two months since his televised unveiling as a VfL Wolfsburg player drew in 44 million viewers in his native China, Xizhe Zhang is still taking things day by day as he looks to acclimatise to the rigours of Germany’s top flight and his new surroundings. Zhang “wasn’t surprised” his move to Wolfsburg attracted attention back home, given that he is currently “the only Chinese player at a big club in one of the major European leagues”. However, the mild-mannered midfielder is refusing to let the added exposure go to his head as he looks to fly his country’s flag in Germany’s top flight. “I do see myself as a bit of an ambassador, but only in terms of football,” said the Wolves’ winter signing. To do just that the 24-year-old has been frank in outlining the areas of his game that he need to adapt in order to withstand the demands of the league of the world champions. “The pace of the game in the Bundesliga is a lot faster than it is in China, and you need greater athleticism here too,” said Zhang. Asked who his footballing role model is, Wolfsburg’s high-profile recruit admitted that he holds former FC Schalke 04 and SV Werder Bremen star Mesut Özil in high esteem. “I really like the way he plays. He plays in a similar position to me and is very good at finding the decisive final ball to set up goals.” It may take time for Zhang to reach that level of performance, but considering the waves he’s made without even touching a ball, there’s little doubting that he has what it take to leave lasting impression on the Bundesliga in years to come.